For asylum seekers who are writers, poets, and journalists, finding a voice in their new home can be a significant challenge. In Finding Voice, Bangladeshi poet and journalist Humayun Reza speaks about the challenges some writers face in Australia. Produced by Mick Paddon and Humayun Reza of Eastside Radio. Supervising production by Sharon Davis. When I first met Humayun Reza, all I knew about him was that he was from Bangladesh and was seeking asylum in Australia with his wife and two daughters. He is a quiet and reflective man, and I knew the last thing to ask an asylum seeker, straight out, is why? The experiences are too personal and often too raw for that. So it has taken conversations over months for me to get to know him. 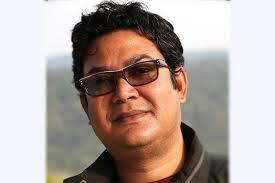 I found out he is a published poet and very experienced print and digital journalist. His exposures of genocide in the 1971 war for Bangladeshi independence, led to him seeking asylum following serious and repeated death threats. He and his family now have refugee status in Australia, but he has yet to recover his voice as a poet and writer. He is not alone. Many people seeking asylum or who are refugees have been writers. Most of them, like him, have, in effect, been silenced. They face the same challenge: if the written word and language are part of your identity and how make your living, how do you express yourself in another place where the language is different and the words have no context? 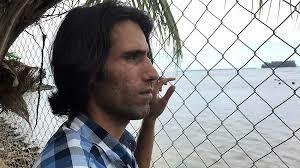 In Finding Voice you will hear from Humayun and from another journalist and novelist, Behrouz Bouchani, a Kurdish writer incarcerated on Manus Island who has just published a 400 page book, No Friend But the Mountains, in English, written as text messages and sent by phone. You will also hear from three Australian writers who have worked with refugees, Janet Galbraith, Mark Isaacs and Debra Adelaide. Humayun dreams of being a writer in the English language, but his final thoughts are that “a writer has no specific nationality, his or her identity is a writer”. Original music from Fathers, Sons and Brothers by Three Seas, courtesy of Matt Keegan. Following on in the style of 3ZZZ multi award winning Student Xpress series on international students comes Are We There Yet, a series of 8 radio programs talking with asylum seekers and refugees.